After becoming a Mom, my life has changed a lot. Believe me I never used to wash my hand before having a meal. But after having a kid, I often wash my hands before feeding my son as well as before having food. Sometimes it's not feasible to wash your hands especially while travelling by bus. Now that my kid has grown up we often travel by bus as opposed to train, as the train journey takes longer hours. So when we have limited water supply or no soap or hand wash facility, a sanitizer comes to the rescue. 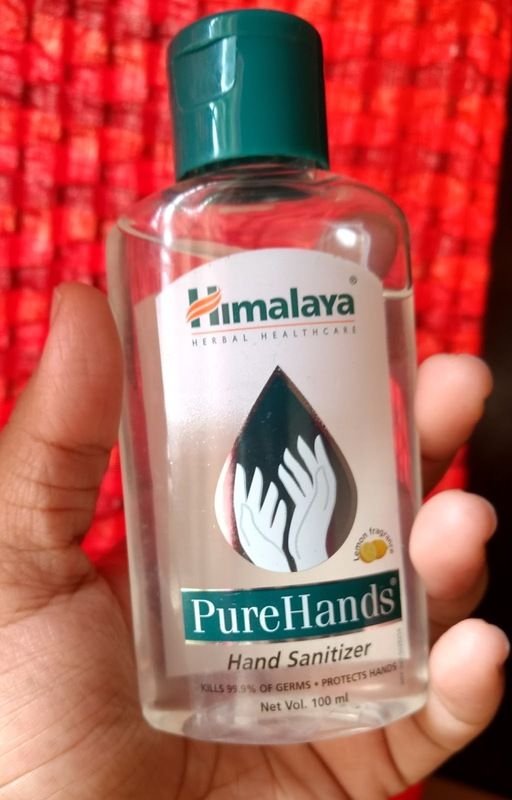 Today we will be checking the review of Himalaya PureHands hand sanitizer, which was s available in 5 variants. The packaging is travel friendly, with flip cap top. Caps fit in tightly, which makes them non spillable also. The available product is in 50ml, 100ml and 250ml capacity. The product claims to be effective on bacteria and fungi with a self drying gel formula. 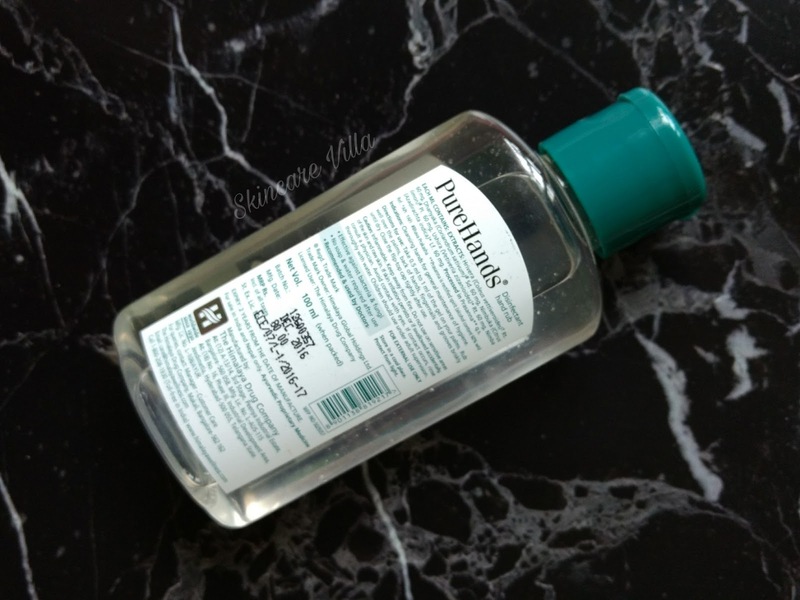 No soap and water is required after the usage of the hand sanitizer. 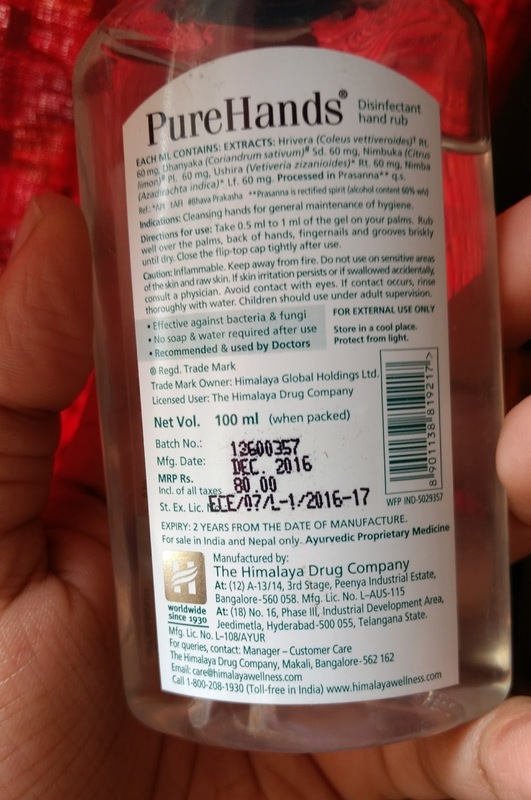 I cannot claim that it kills 99.9% of germs, as no product on earth can kill 100% germs. The good thing about the hand sanitizers is that we don't have to look for a soap, hand wash or water to sanitize our hands before eating or doing some important work. 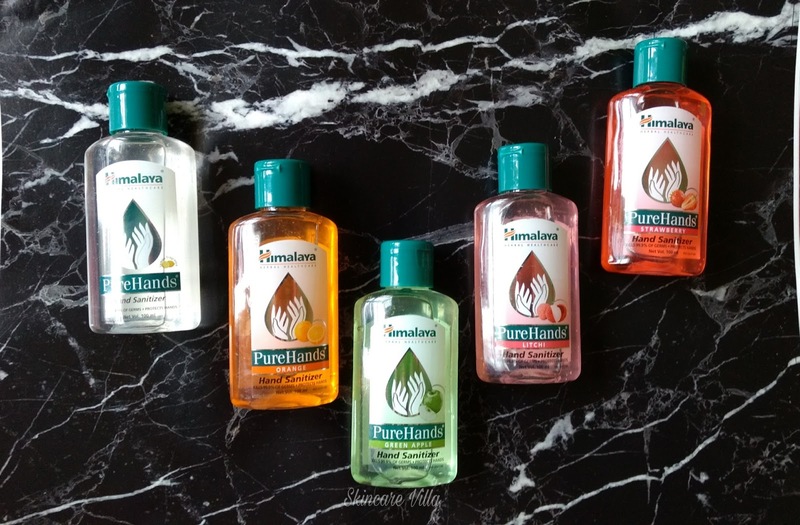 The variants available in Himalaya PureHands hand sanitizer are Green Apple, Strawberry, Litchi, Orange and the one with Lemon Fragrance. I avoid using products with strong fragrance and that exactly what is the Strawberry, Litchi and Orange variant. I like the normal one with Lemon Fragrance and Green Apple variant. Due caution is to be taken while using a sanitizer by a kid and adult supervision is highly recommended. Also as the product is highly inflammable, should be kept away from fire. We should avoid contact with eyes, sensitive areas and broken skin. The product is strictly for external use only. Overall the product is a good option to sanitize your hands while travelling or at times when we don't have access to fresh water and soap to wash our hands with. I often carry this while travelling my kid to keep hands germ free before eating.